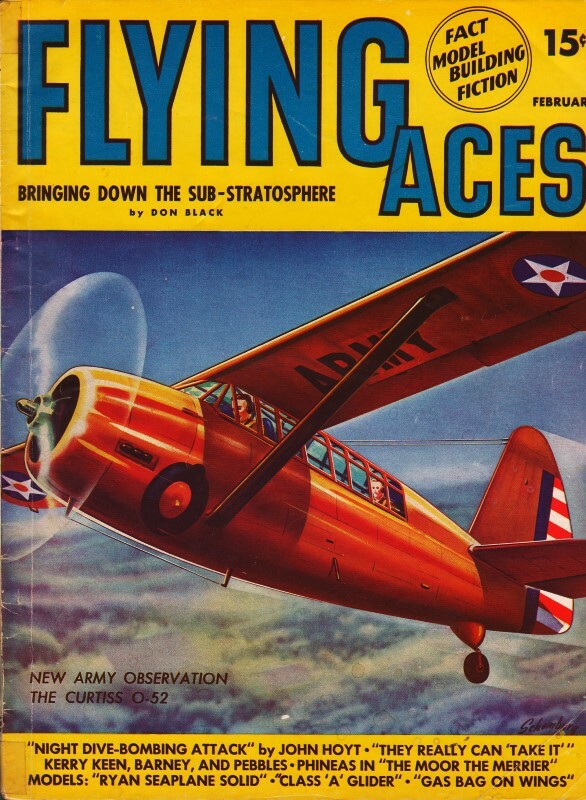 Contest-minded aeromodelers, or for that matter competitive types of all disciplines, are most often the people who advance the state of the art in any field. Never content with good enough, they continually strive to come up with new and better ways of doing things. 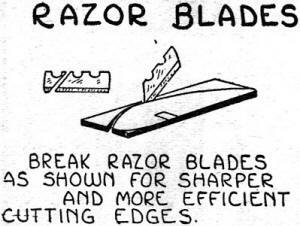 That's not to say everyday sportsmen don't innovate; they just don't usually do it with the vim and vigor of competitors. 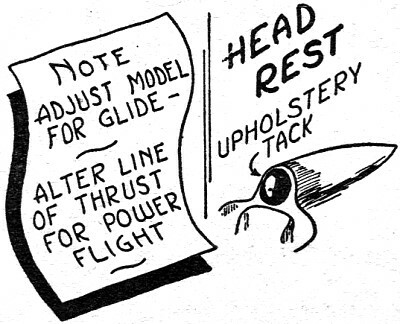 Although I cannot know for sure, I suspect that the tip offered here for a suggested way to carve rubber power free flight propellers to maximize thrust under a continually changing amount of torque from the twisted motor is the result of such competitive experimentation and analytical thought. A small board painted white and rules off with horizontal and vertical lines is a great aid in assembling models. The component parts of the model are readily lined up in this manner. Draw lines 1/4" apart with inch marks slightly heavier. 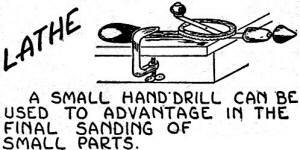 Bristol Board may be substituted and tacked on workbench when needed. 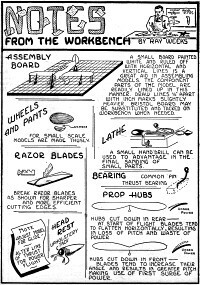 For small scale models are made thusly. Break razor blades as shown for sharper and more efficient cutting edges. 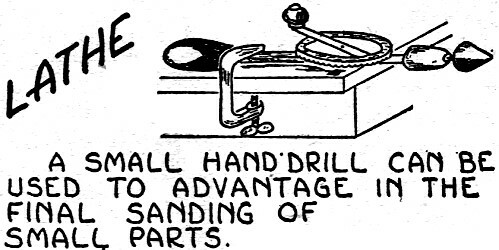 A small hand drill can be used to advantage in the final sanding of small parts. 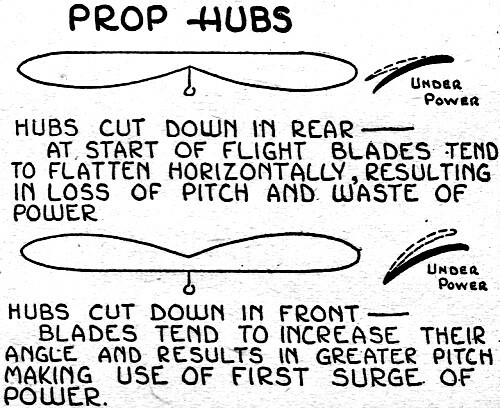 Hubs cut down in rear - at start of flight blades tend to flatten horizontally, resulting in loss of pitch and waste of power. 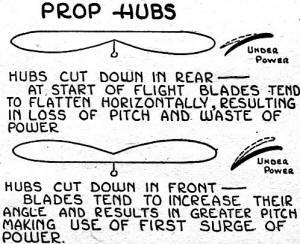 Hubs cut down in front - blades tend to increase their angle and results in greater pitch making use of first surge of power.